Lossy vs. Lossless: what's the difference, if any? If you use Spotify, Apple Music, or if you purchase and download digital music, you must've come across some terms which describe digital audio files. The number of these terms can be rather puzzling. What is a codec or audio format? Bit rate and sample rate? What does it mean if the music is Hi-Res (High-Resolution)? Today I will tell you everything you need to know about digital audio files, explain why bit rate does matter and focus on the difference between lossy and lossless audio. When you but a music CD, the songs on the disc are uncompressed. You can import the songs from the CD with iTunes (or other soft) turning them into digital files to have them on a computer or any portable device. Using iTunes, you can rip two formats: AIFF and WAV. Both of them contain PCM (pulse-code modulation) data store on a CD. It makes it possible to read the files on a computer making them digital. The thing about AIFF and WAV is that they can be pretty large. For that reason, digital audio files usually undergo compression to save space. Compression exists in two kinds: lossy and lossless. You may encounter other audio formats, though they are not that common. They include WavPack (WV), TTA, ATRAC, PCM, OPUS and much more. However, these are usually not supported by most audio players. What the difference between lossy and lossless compression? During processing, lossless compression rips audio files so that they reduce in size, but no quality is lost. It's a perfect copy of the original sound. You can also convert one lossless format to another without any loss of quality. But the one thing you can't ever do is convert lossless to lossy, not because it's impossible, it's just a stupid thing to do. For more info, read why converting FLAC to MP﻿3 or WAV vs. MP3 is a terrible thing to do. On the other hand, lossy compression reduces the size of an original file up to ten times, so 100 MB become 10 MB, but some audio data is irreversibly lost therefore it may sound as if a song lacks something, or the other way round, some sound artifacts can appear. May people prefer lossless audio because it sounds deeper and clearer. Lossy is more about the quality rather than quantity. This type of compression makes it possible to store thousands of tracks on an HDD or a portable device, and download music faster. Lots of people can't tell the difference between lossy and lossless music, but it's because they tend to use poor quality speakers and headphones. In reality, the difference is apparent; your ears just have to get used to high quality. High-resolution audio is even better than CD quality. Hi-Res audio is commonly defined by the bit depth and sample rate of files. Typical CD contains 16-bit music at 44,1 kHz sample rate. Hi-Res, on the other hand, has bit rate and sample rate that exceed those of CDs. Most Hi-Res files are at 24-bit, 96 kHz, making the music sound as never before. The number can be even bigger. 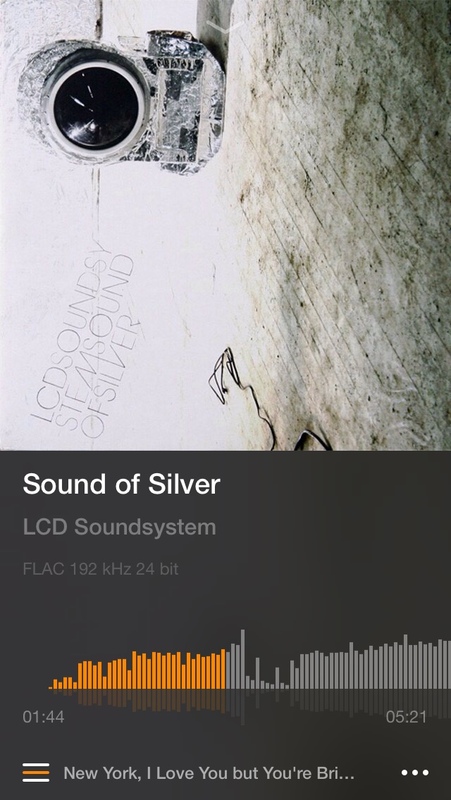 For instance, I'm currently listening to Sound of Silver by LCD Soundsystem at 4867 kbps at 192 kHz, and I must admit, it's just awesome. What is called the sample rate is just an amount of "pieces" of sound that are made per second. The sample rate is measured in kHz (Kilohertz). For instance, 44,1 kHz means the music is sampled 44,100 times per second. Correspondingly, 96 kHz – 96,000 times a second. The sample rate influences the general accuracy of music, and the range of frequencies that a song can reproduce. High-Res files can reproduce sounds that are barely hearable, usually withing lossless audio with extremely high bit rate and sample rate. However, you need to realize that bigger numbers don't necessarily mean better sound. To lots of people, lossless audio wouldn't sound that different from lossy because of the device they use for listening. Especially, internal phone speakers or poor quality headphones. They can even worsen the experience creating background audio artifacts and noises. Providing you prefer lossless to lossy music, you must be looking for a way to listen to Hi-Res on you mobile. 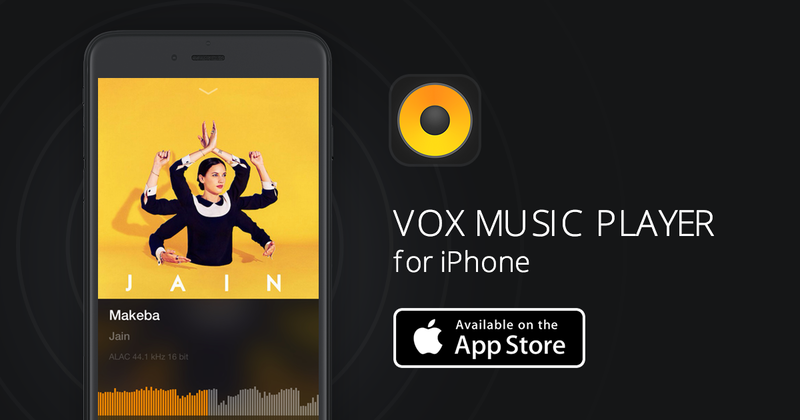 VOX Music Player for Mac & iPhone support most usual lossy audio files (MP3, AAC, OGG etc. ), but the main focus is the ability to play lossless formats (FLAC, ALAC, APE) and even uncompressed WAVs and AIFFs. This feature is unavailable in Apple's native audio player making VOX the best solution for best music experience. Sync Spotify and Soundcloud account to create a single collection with music from different sources. Scrobble to Last.fm to have up-to-date listening stats. Sync VOX for Mac and VOX for iPhone using VOX Cloud (more on that below) to have your music libraries on both devices. Among extra features is VOX Radio with 30,000+ stations from all over the world, best sound engine ever, easy-to-use interface and customizable equalizer with many presets for different genres of music. So how do music collections synchronize between Mac and iPhone? Easy file sync between your devices sounds like a dream, but it's possible when you're using VOX Music Cloud Storage (formerly LOOP Unlimited Music Cloud Storage). It's an unlimited music cloud that stores all your music regardless of the format, bitrate or size. As soon as you upload any piece of music to the cloud, it instantly appears on all devices connected to your account. In this way, you have unlimited access to millions of songs from your collection right in your hands. VOX Cloud is a perfect option if you prefer lossless to lossy but don’t feel like storing it on your device. Unlimited cloud storage for your music collection. No need to use external HDDs or bother about free space. 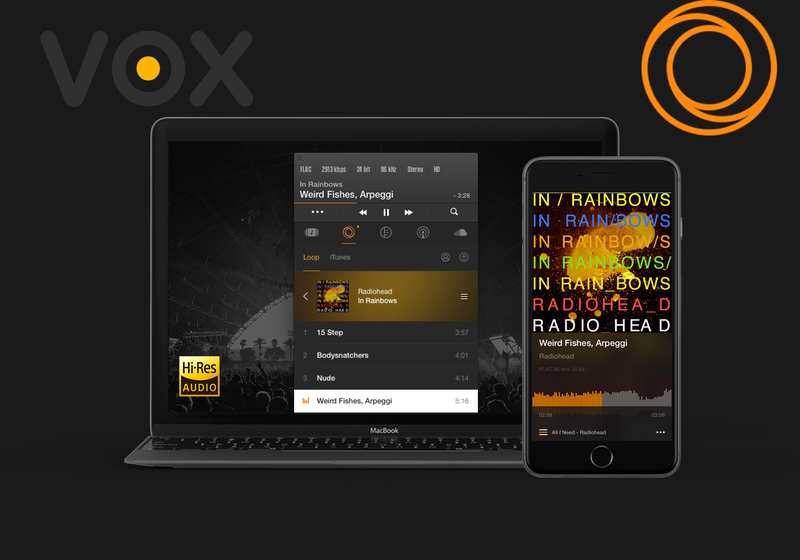 VOX Cloud is a great tool to use with VOX Music Player because you can enjoy Hi-Res music and not worry about how much space it takes. VOX Cloud is available to VOX users exclusively. All this means that numbers don't define a song to be lossy or lossless, and the quality of the sound doesn't depend on the mere format yet device you use as well. But remember, that music isn't all about numbers. It's no mathematics. Listen to the music you like, choose formats that are most convenient, pick devices you feel comfortable with. Of course, it's great if you have fancy headphones and speakers, but good music always sounds good.